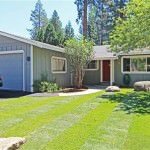 2332 Oregon Ave South Lake Tahoe CA offered at $309,000NEW LOWER PRICE! Location, location, location! Popular Tahoe Island Park Unit #4 which is eligible for membership in the Tahoe Keys Beach and Harbor Association for about $50/yr. One of the few homes at this price point with a large family room in addition to a roomy living room. Added to the 3 bedrooms and 2 baths, this well-maintained one-level home also has a very large kitchen and enormous back deck...Continue Reading! 746 Lakeview Circle Zephyr Cove NV offered at $495,000Great vacation get-away! Location is perfect as you are within walking distance to Zephyr Cove lodge and beach. This home has 5 bedrooms & 3 baths with many upgrades. The downstairs is set up for entertaining with pool table and hot tub. 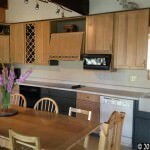 Enjoy all lake Tahoe has to offer with this Tahoe style mountain home.Continue Reading!